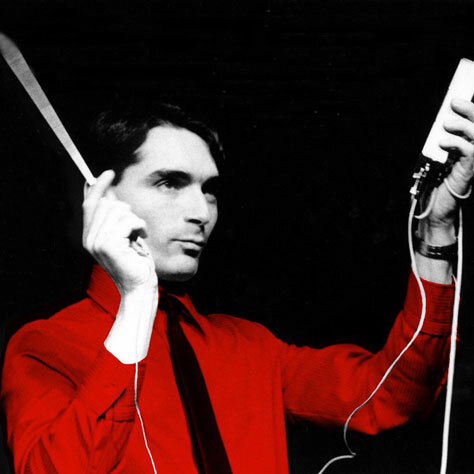 We’re delighted to be bringing ex-Kraftwerk member Wolfgang Flür to Manchester! Frustrated with the half-a-decade it took to produce Electric Cafe (1986), he left the band after the LP’s release – it wouldn’t be until a 2009 reissue that Flür received an artist credit on the album. In 1997, he launched his solo career under the name Yamo and released Time Pie, an album that featured work with the experimental duo Mouse on Mars. In 2000, he published his memoir I Was a Robot but the book was pulled momentarily, and re-released with revisions after a lawsuit from the remaining members of Kraftwerk. A 12″ single named after the book appeared in 2004, and it was included on the 2015 release Eloquence: Total Works, a collection of unreleased Flürtracks dating back to 2002. Support comes from Hebden Bridge-based Peter Duggal. This show is a co-promotion with Synergy Concerts.